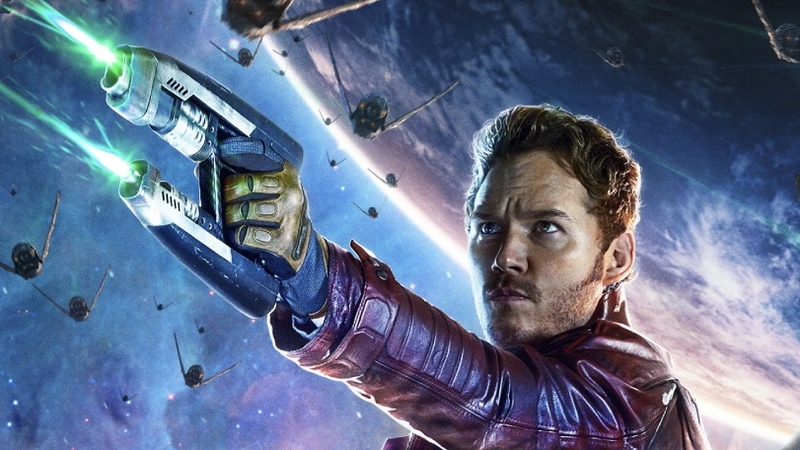 Rumor Central: Star Lord’s Father Has Been Revealed & James Gunn Immediately Responds! The filmmakers to Guardians of the Galaxy made it a priority to tease the identity of Peter Quill (a.k.a Star Lord) father towards the ending. When the Ravagers, led by Yondu (Michael Rooker) kidnapped Peter, it was with the intention of bringing him to his father. That was what they revealed after seemingly retrieving the mystery orb after the final battle. Then, when Peter is in the presence of Nova Prime (Glenn Close) at the end, its teased that Peter’s mother is human, but his father is apart of a something ancient that hasn’t been seen in a long time. That left us audience members walking out the theater, asking the question “who is Peter Quill’s father?”. After much speculation and fan theory, its seems we have an answer. POTENTIAL SPOILER AHEAD!!! According to Heroic Hollywood’s Umberto Gonzalez who received confirmation from FOUR different sources, the father of Peter Quill is Captain Mar-Vell. Great! Who the heck is Captain Mar-Vell? According to Marvel Universe Wiki, Captain Mar-Vell is a white-skinned minority of the blue-skinned Kree empire. He was a former captain of the Kree Space Fleet and a skilled soldier. For those who aren’t aware of the term “Kree”, they’re described as “a fictional scientifically and technologically advanced militaristic alien race”. They are often mentioned in ‘Guardians of the Galaxy‘ and heavily referenced in the TV show ‘Agents of SHIELD‘. Once again, Marvel is taking liberties from the comics, because Peter’s actual father is Prince Jason of Spartoi. However, in this cinematic universe Peter’s father may in fact be Captain Mar-Vell. It makes complete sense as Umberto pointed out in his announcement. Mar-Vell plays a hand in Carol Danvers receiving her powers as Captain Marvel. It happens during an explosion involving the two, giving Carol the same powers and training as Mar-Vell. Furthermore, the ‘Captain Marvel‘ solo-film releases right after ‘Guardians of the Galaxy Vol. 2‘, creating the opportunity to setup her origins. It also explains why Peter was able to hold onto the powerful orb for so long. Now, this rumor is far from confirmed regardless of how confident and credible Umberto Gonzalez is. Director James Gunn noticed this rumor making the rounds on the web, and immediately shot this rumor down. I consider myself one of those people who are constantly looking for scoops. I totally understand what Gunn is saying, but that’s the world we live in unfortunately. As for Gunn’s response to the rumor, it was to be expected according to Umberto. For the record, Umberto has previously scooped on things like Paul Rudd’s casting as Ant-Man. What do you think about this rumor? Which side are you on? Dope stunt regardless by Gunn offering me 50k if I'm correct. I dig the showmanship. Since Captain Mar-vell is not “something very ancient” I don’t believe a word of it. Plus, Umberto’s track record is terrible. He usually is only right concerning things I could have guessed myself or stuff which you might figure out with some good contacts in some casting agencies. And he is wrong way more often then right. That’s the price of dropping scoops well in advance. If you’re right, they’ll give credit, but if you’re wrong then all hell will break loose.